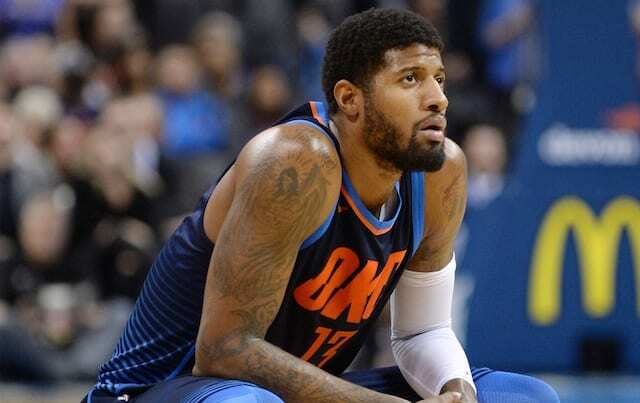 One of the biggest and most unshakeable NBA rumors over the past year has been that Oklahoma City Thunder forward Paul George is “hell bent” on returning home to Southern Calfornia and joining the Los Angeles Lakers in free agency. 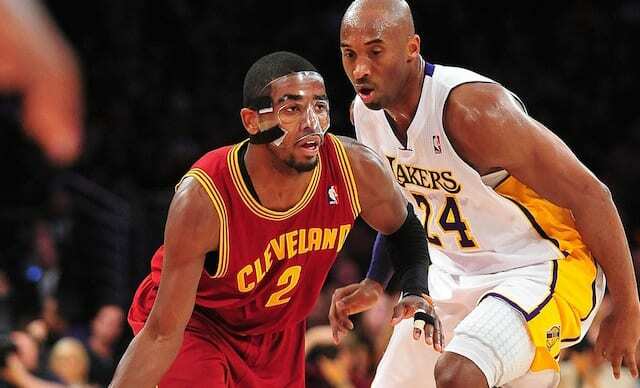 It’s a storyline that dates back to George’s time with the Indiana Pacers. Widely seen as the biggest obstacle to that rumor coming to fruition is the chance George could decide that he likes playing with Russell Westbrook and Carmelo Anthony in OKC. Thus, he could decide to either opt in for the final year of his contract or re-sign with the Thunder in free agency this summer. A $250 million bill for a team that isn’t even widely considered a title contender is a tough pill to swallow, and might be doubly difficult for an Oklahoma City ownership group that has balked at paying James Harden and Serge Ibaka, among others. It can be surmised the domino effect led to losing Kevin Durant to the Golden State Warriors as a free agent. The Thunder did respond by locking up Westbrook for the majority of his prime, giving them a star to eventually pair Anthony and George with. If OKC does show wariness in paying George what he’s truly worth, it would be good news for the Lakers’ chances of getting him.